organised clutter: A Giveaway ... and a Very Handmade Sale! A Giveaway ... and a Very Handmade Sale! First, I dug out the box of handmade goodies I meant to relist on Etsy ... from like 10 months ago? yikes. So again, as we are approaching the end of 2011, I'd like to let these handmade goodies (made with much tears and blood - no sweat) go at slashed prices. So if you've been eyeing a pretty metal bottlecap embellishment tag or framed ATC on Organised Clutter, this is the time to get them. Once they're gone, they.are.GONE. Each Metal Bottlecap Embellishment Tag is going at S$8, while Framed ATCs are S$10 each. Details are available on the Handmade Goods Sale page. So I will be announcing the winner of the above Tag next Monday, 26th December. If you'd like to purchase one for yourself in the meantime, remember they are on my Handmade Goods Sale page. The 50% discount of my Scrapbook Stash for Sale is still going on! So grab your favorite supplies while they last. That gallery might not be available anymore after 4th January! 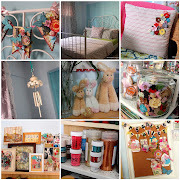 New things are coming up for Organised Clutter in 2012, and I can't wait to share them with you! How are u doing? I hope you're great! Thanks for the chance to win your lovely bottle cap embellishments!! I am going to spend it with my family! Nothing beats celebrating this festive season with your family and spending quality time together(: and thanks for hosting the give away! We moved away from family 8 yrs ago. Because one of our sons is marrying next year, this will be our last Christmas waking up as 4 in the same house. His girl went to CO to be with all her family. So things will be changing. Thank you for my chance to win your lovely giveaway!